On Friday June 22, 2018 Taye Gari Anaya will defend his PhD thesis at the University of Bergen. 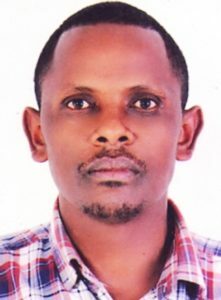 The title of his thesis is: “Malaria, anaemia and undernutrition in a drought-affected area of the Rift Valley of Ethiopia: Experiences from a trial to prevent malaria”. Malaria, anaemia and malnutrition are interconnected, and often coexist in prevalent areas such as in sub-Saharan Africa, including Ethiopia. Although individuals in all ages of life are affected by these conditions, children under the age of 5 represent the most vulnerable group. Ethiopia is planning to reduce these conditions to a level where they are not public health problems Meanwhile, for the success of this aim, a description of the occurrence and interaction of malaria, anaemia and undernutrition could help to design tailored, efficient and effective control strategies. This thesis measures the effect of malaria prevention on anaemia reduction, and assesses the association between malaria, anaemia and undernutrition among a cohort of children aged 6 to 59 months old followed in a drought-affected rural area in south-central, Ethiopia. The study showed a large variation in malaria incidence among villages in the same district. Despite community wide malaria prevention effort, an unexpected increase in anaemia prevalence was observed over a year. Malaria infection was a risk factor for undernutrition, although undernutrition was not a risk for malaria infection. There could be a need to prioritise villages nearer to the main mosquito breeding sites for malaria control. Moreover, a close follow-up of the nutritional status of children with malaria infection may be needed. Taye Gari Ayana is from Hawassa in south Ethiopia. He completed Master degree in Public Health from Addis Ababa University in Ethiopia. From 2013 he has been affiliated with the Centre for International Health as a PhD candidate. Now he is a lecturer at the School of Public Health, at Hawassa University in Ethiopia. His supervisors were Professor Bernt Lindtjørn, Dr Eskindir Loha and Dr Wakgari Deressa. Background Understanding the spatial distribution of stunting and underlying factors operating at meso-scale is of paramount importance for intervention designing and implementations. Yet, little is known about the spatial distribution of stunting and some discrepancies are documented on the relative importance of reported risk factors. Therefore, the present study aims at exploring the spatial distribution of stunting at meso- (district) scale, and evaluates the effect of spatial dependency on the identification of risk factors and their relative contribution to the occurrence of stunting and severe stunting in a rural area of Ethiopia. Methods A community based cross sectional study was conducted to measure the occurrence of stunting and severe stunting among children aged 0–59 months. Additionally, we collected relevant information on anthropometric measures, dietary habits, parent and child-related demographic and socio-economic status. Latitude and longitude of surveyed households were also recorded. Local Anselin Moran’s I was calculated to investigate the spatial variation of stunting prevalence and identify potential local pockets (hotspots) of high prevalence. Finally, we employed a Bayesian geo-statistical model, which accounted for spatial dependency structure in the data, to identify potential risk factors for stunting in the study area. Results Overall, the prevalence of stunting and severe stunting in the district was 43.7% [95%CI: 40.9, 46.4] and 21.3% [95%CI: 19.5, 23.3] respectively. We identified statistically significant clusters of high prevalence of stunting (hotspots) in the eastern part of the district and clusters of low prevalence (cold spots) in the western. We found out that the inclusion of spatial structure of the data into the Bayesian model has shown to improve the fit for stunting model. The Bayesian geo-statistical model indicated that the risk of stunting increased as the child’s age increased (OR 4.74; 95% Bayesian credible interval [BCI]:3.35–6.58) and among boys (OR 1.28; 95%BCI; 1.12–1.45). However, maternal education and household food security were found to be protective against stunting and severe stunting. Conclusion Stunting prevalence may vary across space at different scale. For this, it’s important that nutrition studies and, more importantly, control interventions take into account this spatial heterogeneity in the distribution of nutritional deficits and their underlying associated factors. The findings of this study also indicated that interventions integrating household food insecurity in nutrition programs in the district might help to avert the burden of stunting. Each month, a paper is selected by one of the Editors of the five Nutrition Society Publications (British Journal of Nutrition, Public Health Nutrition, Nutrition Research Reviews, Proceedings of the Nutrition Society and Journal of Nutritional Science). This month, Seifu Hagos Gebreyesus’ paper on ‘Local spatial clustering of stunting and wasting among children under the age of 5 years: implications for intervention strategies’ was selected. As malnutrition is a major public health problem in Ethiopia, we aimed to find out how the acute and chronic forms of undernutrition occur in the districts and kebeles (a kebele is the smallest administrative unit in Ethiopia). Such knowledge could be helpful in improving our understanding of the distribution of undernutrition on a local scale, as well as designing targeted nutrition intervention programmes. For this purpose, we surveyed children aged less than five years, who were found in 1744 households. We measured children’s height, weight, and the geographic locations (latitudes and longitudes) of households. Using data from 2371 children aged less than five years of age, we evaluated how malnutrition is distributed within a district and kebeles. Although many believe that undernutrition is equally distributed within an area, we found that children living in locations within a district are more susceptible to undernutrition than children in other locations but living in the same district. For example, children living in these locations were 1.5 times more likely to be stunted and 1.7 times more likely to be severely stunted than children living in other locations within the district. Similarly, in some kebeles, children living in some small areas experience more acute malnutrition (wasting and severe wasting). Our finding has important implications to nutritional intervention strategies. Stunting and wasting are not equally distributed in an area, suggesting that planning of nutrition interventions may need to consider the variations in the vulnerability. To help accelerate the reduction of malnutrition, it could be important to consider targeting locations where more susceptible children live. The approach would help reach children who are most likely to benefit from intervention programmes. We recommend that this research needs to be repeated in other areas of Ethiopia and other developing countries. We also would like to recommend further study possibly using an implementation research approach to evaluate the feasibility, advantages and effectiveness of targeting nutritional interventions. Gebreyesus SH, Mariam DH, Woldehanna T, Lindtjorn B. Local spatial clustering of stunting and wasting among children under the age of 5 years: implications for intervention strategies. Public Health Nutr. 2015:1-11. Objective The present study aimed to evaluate the clustering of undernutrition indicators of children under the age of 5 years in relation to different scales. Design A community-based cross-sectional study design was employed. We collected anthropometric data, geographic locations/elevations of households and other data from visited households. We used a retrospective purely spatial Poisson probability model to identify and locate clusters (high rates) of stunting and wasting using the software SaTScan™ version 9·1·1. We ran a logistic regression model to help evaluate the causes of clustering. Settings Six villages in the Meskane Mareko District (38·45763°E, 8·042144°N) of southern Ethiopia. Subjects We surveyed 2371 children aged <5 years, who were found in 1744 households. Results We found a micro-level variation in the risk of stunting and wasting within the studied district. We found the most likely significant clusters for wasting and severe wasting in two of the six villages. For stunting, a single large cluster size of 390 cases (304·19 expected) in 756 households was identified (relative risk=1·48, P<0·01). For severe stunting, a single cluster size of 106 cases (69·39 expected) in 364 households was identified (relative risk=1·69, P=0·035). Conclusions We conclude that the distribution of wasting and stunting was partly spatially structured. We identified distinct areas within and between villages that have a higher risk than the underlying at-risk population. Our analysis identified the spatial locations of high-risk areas for stunting that could be an input for geographically targeting and optimizing nutritional interventions. Gebreyesus S, Lunde T, Mariam D, Woldehanna T, Lindtjorn B. Is the adapted Household Food Insecurity Access Scale (HFIAS) developed internationally to measure food insecurity valid in urban and rural households of Ethiopia? BMC Nutrition 2015; 1(1): 2. The concept of food insecurity encompasses three dimensions. One of these dimensions, the access component of household food insecurity is measured through the use of the Household Food Insecurity Access Scale (HFIAS). Despite its application in Ethiopia and other similar developing countries, its performance is still poorly explored. Our study aims to evaluate the validity of the HFIAS in Ethiopia. We conducted repeated cross-sectional studies in urban and rural villages of the Butajera District in southern Ethiopia. The validation was conducted on a pooled sample of 1,516 households, which were selected using a simple random sampling method. The HFIAS was translated into the local Amharic language and tested for face validity. We also evaluated the tool’s internal consistency using Cronbach’s alpha and factor analysis. We tested for parallelism on HFIAS item response curves across wealth status and further evaluated the presence of a dose-response relationship between the food insecurity level and the consumption of food items, as well as between household wealth status and food insecurity. Additionally, we evaluated the reproducibility of the tool through the first and second round of HFIAS scores. The HFIAS exhibited a good internal consistency (Cronbach’s alpha for the values of rounds 1 and 2 were 0.76 and 0.73, respectively). A factor analysis (varimax rotation) resulted in two main factors: the first factor described a level of mild to moderate food insecurity, while the second factor described severe food insecurity. HFIAS item response curves were parallel across wealth status in the sample households, with a dose-response trend between food insecurity levels and the likelihood of previous day food consumption being observed. The overall HFIAS score did not change over the two rounds of data collection. The HFIAS is a simple and valid tool to measure the access component of household food insecurity. However, we recommend the adaptation of questions and wordings and adding examples before application, as we found a discrepancy in understanding of some of the nine HFIAS questions. Background The amount and distribution of rainfall and temperature influences household food availability, thus increasing the risk of child undernutrition. However, few studies examined the local spatial variability and the impact of temperature and rainfall on child undernutrition at a smaller scale (resolution). We conducted this study to evaluate the effect of weather variables on child under nutrition and the variations in effects across the three agroecologies of Ethiopia. Methods A longitudinal panel study was conducted. We used crop productions (cereals and oilseeds), livestock, monthly rainfall and temperature, and child under nutrition data for the period of 1996, 1998, 2000 and 2004. We applied panel regression fixed effects model. Results The study included 43 clusters (administrative zones) and 145 observations. We observed a spatiotemporal variability of rainfall, stunting and underweight. We estimated that for a given zone, one standard deviation increase in rainfall leads to 0.242 standard deviations increase in moderate stunting. Additionally, a one standard deviation increase temperature leads to 0.216 standard deviations decrease in moderate stunting. However, wasting was found to be poorly related with rainfall and temperature. But severe wasting showed a positive relationship with the quadratic term of rainfall. Conclusions We conclude that rainfall and temperature are partly predicting the variation in child stunting and underweight. Models vary in predicting stunting and underweight across the three agroecologic zones. This could indicate that a single model for the three agroecologies may not be not applicable.